The final Parasha of 2016 is appropriately named Mikketz (at the end). In the chapters of Genesis 41:1-44:17 Pharaoh has two dreams: one of the seven fat cows and seven miserable cows and the other of seven full, ripe ears of grain and seven thin ears of grain. Both of the dreams’ interpretations are revealed by God to Joseph, and have the same meaning concerning the future. According to the dreams there would be seven years of abundance in the land of Egypt which would be followed by seven years of severe famine. God gives divine wisdom to Joseph and he receives favor in the eyes of Pharaoh and is being elevated in position from the dungeon to the side of Pharaoh to rule over all of Egypt. When the dreams come true and the famine hits the land, also Joseph’s family in the land of Kanaan suffers. Israel sends his sons, Joseph’s brothers, to Egypt to buy food and that is when Joseph meets his brothers after 20 years since they had sold him into slavery. The chapter 41 starts interestingly telling that at the end of two years Pharaoh had a dream. From the previous chapter we can read that two years earlier Joseph had interpreted another pair of dreams in the prison thinking that now he would find favor in the eyes of Pharaoh and be released from prison. However, apparently the time that God had planned for him was not full until two years later. God revealed future events in the dreams: events which would occur only when certain period of time had come to an end. He could have shown the dreams at whatever time He wanted to but for one reason or another He chose to reveal His plans at this specific time. Maybe the time wasn’t right earlier or maybe Pharaoh would not have been ready to receive God’s message earlier. Maybe it was Joseph whom God needed to prepare for another two years in prison for the position God had planned to elevate him to. We will not know for sure, but what we know was that Pharaoh’s heart was soft enough to receive the interpretation and believe the word of God given by Joseph. He was instantly ready to honor the wisdom God had given to Joseph by putting him in charge of everything in Egypt according to everything that Joseph had told him to do. Both Pharaoh and his officials understood in their hearts the seriousness of the times they were about to confront and were ready to take a risk of putting a strange person recently released from a prison in charge of the land accordingly. In the first book of Chronicles, chapter 12 verse 32 explains that the sons of Issachar were men who understood the times and knew what Israel should do. So did Pharaoh, his officials and Joseph. They believed the word of God and acted accordingly. Do we find in these days leaders like Pharaoh or prophets like Joseph in our countries? Joseph was only 30 years old at the time he was given the position in the land of Egypt but God had trained him to be a servant of the nation first in the house of Potiphar and then in prison. He only had the promises of God given to him many years earlier that one day even his family would prostrate themselves in front of him but I believe he held on to that promise and persevered the difficult times of preparation knowing that everything had a purpose in God’s plans. Now, at the end of year 2016 we are coming to an end of one era in this world. We have seen remarkable things happening in the world, in Israel and in the nations during the past year. Things we have not seen nor imagined we would see. 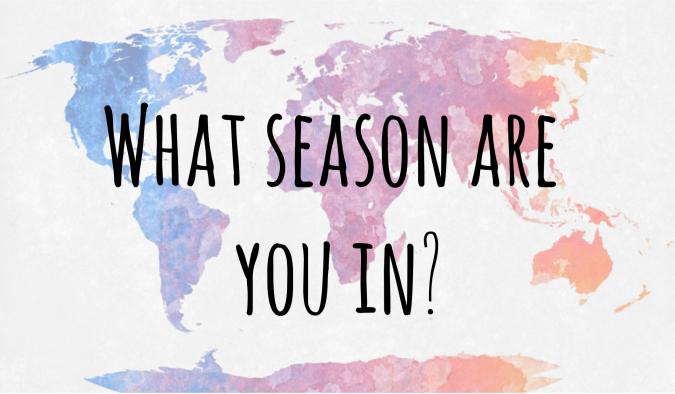 We are stepping into a new season and God is searching for people like Joseph and sons of Issachar who understand the times and know what nations should do in the times ahead. God is also searching for righteous leaders who are humble and obedient to the word of God and ready to act on it. Israel is facing difficult times as the nations are literally gathering their strength against it as we have seen in the UN. Let’s pray for the year 2017, for our nations and leaders and especially for Israel so that we would have wisdom to work when it’s still day because night is coming when no one can work (John 9:4). Have a blessed and fruitful year 2017!